If you have been following along with my awards race musings, Spotlight taking home some major wins should not come as much of a surprise. I told you not to count this one out. despite the National Board of Review hailing Mad Max: Fury Road as the best of 2015’s class, while the New York Film Critics Circle sided with Carol. It also should be noted that Spotlight is predominantly set in Boston, so there may have been some favoritism involved within that particular circuit. Probably not too much though, because after all, the film is about journalists uncovering a massive pedophilia scandal within the Catholic Church, which doesn’t exactly make for great tourism advertising. Best Picture seems to be saving up into a race between Spotlight and Mad Max: Fury Road, as associations seem to be split between the two. 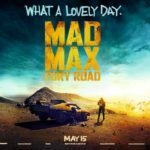 If nothing else, Mad Max: Fury Road is quickly becoming a lock for many of the technical categories.Leonardo DiCaprio and Michael Fassbender both got much-needed wins to not only keep their chances at Best Actor hopeful, but to keep their respective films relevant, as both Steve Jobs and The Revenant have routinely been shut out. It’s also nice seeing Paul Dano get some love for Love and Mercy, which until now seemed to have unfortunately been forgotten. Charlotte Rampling had a great day, and is quickly becoming a potential threat to initially perceived frontrunners Brie Larson and Saoirse Ronan. Meanwhile, Kristin Stewart is staying in the mix, and will probably end up with an Oscar nomination at this rate. Also noteworthy is Alicia Vikander nabbing an award for Ex Machina of all projects. It’s a fantastic movie, but The Danish Girl seemed to be her featured film being pushed in these races. Also surprising is Michael Shannon with some for 99 Homes, one of like, 36 films he gave incredible performances in this year. Mark Rylance also continues to upset Supporting Actor frontrunner Michael Keaton, who most assumed would be showered with accolades as residual due for coming within inches of an Oscar for Birdman. Amy is continuing to pick up awards for Best Documentary (this movie has to be the surest thing to a lock for an Oscar at this point, and rightfully so), with Inside Out finally getting some competition in the animation category in the form of Anomalisa. Reports are that it too, is an amazing film, but something tells me as far as the Academy goes, they will trail-blaze the safe route and reward Pixar again. Finally, let’s all give a collective WTF to The Big Short receiving an editing award over Mad Max: Fury Road. I’m not knocking the film, it’s just an unexpected choice. Visit back soon for more updates!